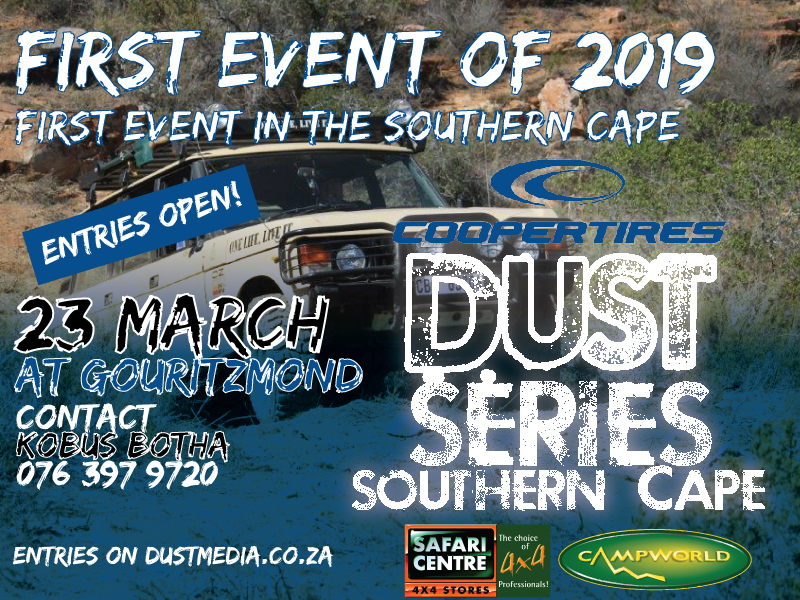 Entries for the first event in the Southern Cape, one of the newbies in the 2019 season of the Cooper Dust Series, are open. Fill in the form below to get your name in and to get the ball rolling. Kobus Botha from Tuinroetewoonwaens in Mossel Bay will be in touch to finalise and give you all the information you need. Click here for more information on the Cooper Dust Series. Entries are R500 per team. The event will take place on 23 March at Gouritzmond. I accept that I will sign an indemnity that will indemnify the organisers, their proxies and all routes/trails/venues from all damage caused to myself, my vehicle or anyone/anything else as a result of this event.